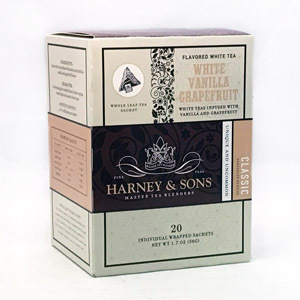 White teas enriched by vanilla and brightened by grapefruit bring forth the cleansing White Vanilla Grapefruit tea. Each refreshing brew reveals light and smooth citrus tones. 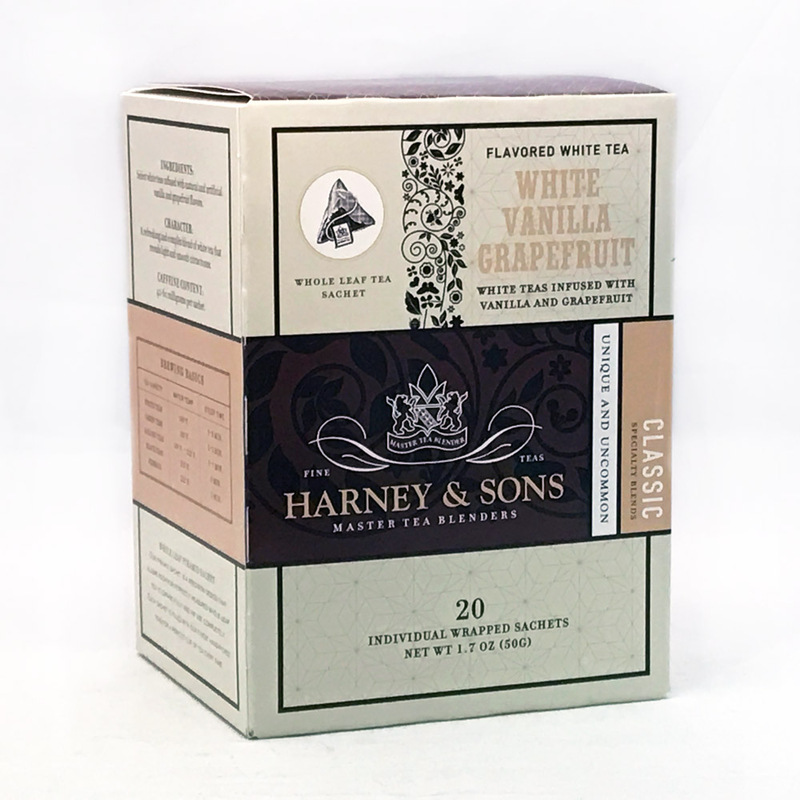 The indulgent vanilla aroma,pleasantly surprising and suggestive of chocolate, engulfs the white tea in its sweet embrace. The whimsical fusion of white teas, vanilla,and fresh citrus makes for a complex yet wonderful equation.